ST. GEORGE – The St. George Police Department unveiled its “Save A Life: Move Over and Slow Down” campaign last Thursday during a City Council meeting. The campaign seeks to educate and encourage motorists to slow down and move over a lane when they see police and other emergency vehicles on the side of the road. 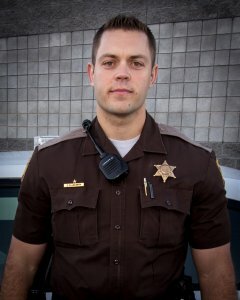 A day after the campaign began in St. George, Utah Highway Patrol Trooper Eric Ellsworth, 32, of Brigham City, was critically injured after being struck by a passing motorist while out of his patrol car as he responded to a call about a downed power line. The trooper died as a result of those injuries Wednesday. That is the kind of incident the Move Over campaign is aiming to avoid, particularly during the upcoming holiday and winter traveling season at hand. “It’s so important,” St. George Mayor Jon Pike said of the Move Over campaign after being presented with its objective and a short video clip produced by the St. George Police promoting it. The campaign is the brainchild of Sgt. Tyrell Bangerter who, like many others, has had close calls while on the side of the road after pulling someone over, responding to a crash or assisting a motorist. While Utah law requires motorists to slow down and get into the other lane across from a stationary emergency vehicle (or at least slow down while passing if you can’t move over), Bangerter said the police want to approach the issue through an awareness and educational campaign instead. Some people they talk to either don’t seem to understand that it’s the law, or just aren’t paying attention, he said. To this end the Police Department hopes to push the short video it produced across social media. Other agencies like the UHP and Logan Police Department, among others, have also shown interest in using the video, Bangerter said. See the Police Department’s video included in the video media player at the top of this story. 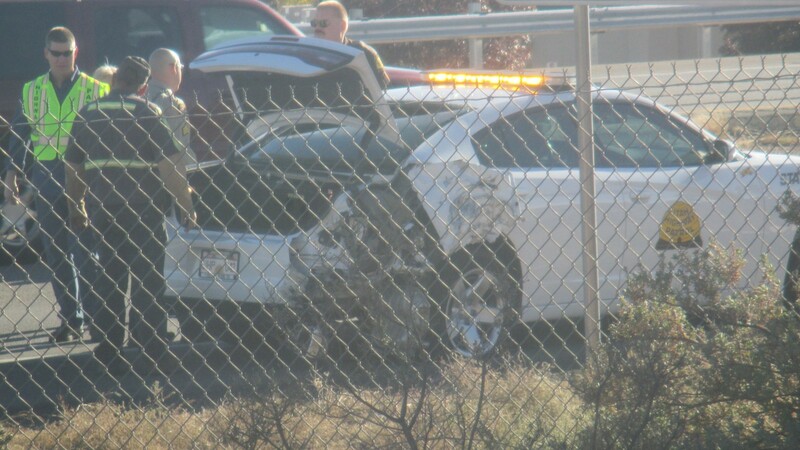 Previously reported incidents in Southern Utah that have involved motorists getting too close to law enforcement and causing collisions have involved the UHP. One trooper, Sgt. Danny Ferguson, was involved in two similar incidents within the span of one year. In July 2015 and November 2014, Ferguson responded to two nearly identical incidents in which he was clearing debris out of a segment of Interstate 15 that passes through St. George. In 2015, the driver of a minivan didn’t slow down and lost control, striking a pickup truck just feet away from Ferguson. In the previous year’s incident, Ferguson was also moving debris from the road when the driver of a pickup truck was going too fast, lost control and skidded off the road, striking a corner of Ferguson’s patrol car. “Fortunately, Ferguson was paying attention and was able to get out of the way,” UHP Lt. Shawn Hinton said as he recounted the crash. If Ferguson’s back had been turned at the time, things would have turned out for the worse, he said. While Ferguson was able to escape injury in both cases, Trooper David Schiers, of Parowan, did not. 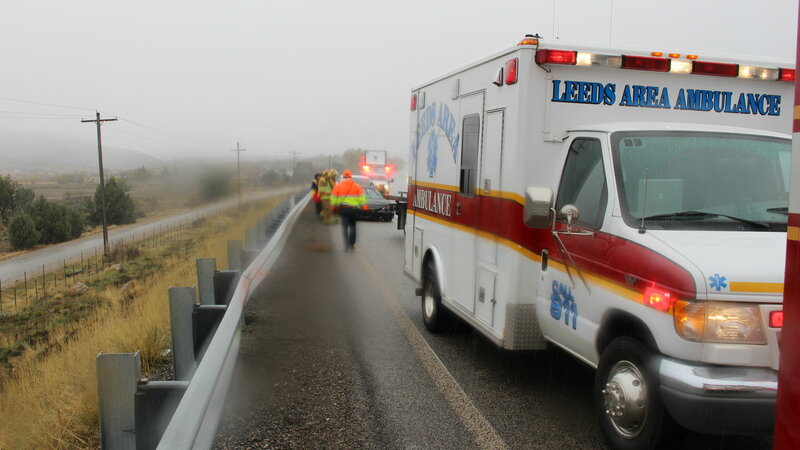 During a rainy day in July 2015, Schiers responded to a single-car crash at milepost 58 on I-15 through Cedar City. While speaking to the driver of the Ford car that had crashed into the cable barrier, a BMW hydroplaned and crashed into the car, pushing it into Schiers and pinning him beneath it. Schiers spent the next two weeks in the hospital before eventually being able to return home. Yet, as Ellsworth’s case shows, not everyone is as lucky. In places like the Virgin River Gorge, where space can be at a premium depending on where you are, troopers with the Arizona Department of Public Safety’s Highway Patrol Division deal with the same issue. “We have issued a lot of warnings and a number of tickets for motorists who failed to either slow down or move over,” Arizona DPS Sgt. John Bottoms said Wednesday. Just that morning, Bottoms said, he was assisting a woman on the side of the road who had a flat tire on the left side of her car. No sooner had he told her to move away from the highway than a semitractor-trailer passed by, drifting over the white line near where the woman had been. Even if you can’t get into the other lane because another vehicle may be there, at least slow down and give as much space as you can, Bottoms said. “The last thing you want to do is plow into somebody, especially if you injure or kill somebody,” Bangerter said. The UHP released a video with a similar message last year featuring incidents of roadside crashes taken from dash-cams. That video is featured below. This is absolutely a fantastic program and I’m sure this will result in a positive reaction from the community. Praise the Lord !